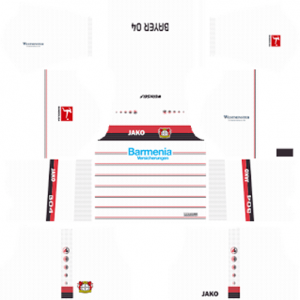 How To Download Bayer Leverkusen Kits for DLS: Are you still searching for Dream League Soccer Bayer Leverkusen kits and logo URL? Now the good news is, fans of the football game Dream League Soccer can now download the new released DLS 512×512 Kits and Logo URL for your Bayer Leverkusen Team and enjoy the game. 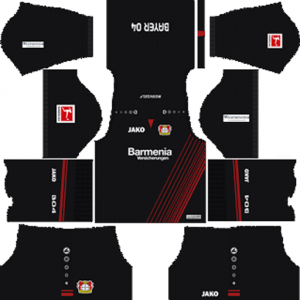 The Bayer Leverkusen are a German football club based in Leverkusen, North Rhine-Westphalia. The nick name of this team is Die Werkself (The Company XI). The club plays in the Bundesliga, the top tier of the German football league system, and hosts matches at the BayArena. This football club was founded on July 1, 1904. This club was formed by the employees of the German pharmaceutical company Bayer, whose headquarters are located in Leverkusen and from which the club has its name. 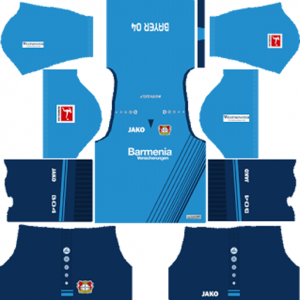 This club was formerly the best-known department of TSV Bayer 04 Leverkusen, a sports club whose members also participate in athletics, gymnastics, basketball and other sports including the RTHC Bayer Leverkusen (rowing, tennis and hockey). In 1999 the football department was separated from the sports club and is now a separate entity formally called Bayer 04 Leverkusen GmbH. If you’re a big fan of DLS Bayer Leverkusen Team, these kits are for you. 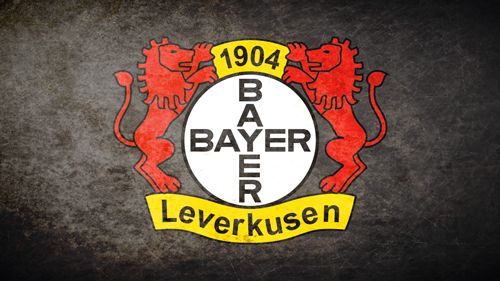 Download Bayer Leverkusen Kits and logo for your team in Dream League Soccer by using the URLs provided below. 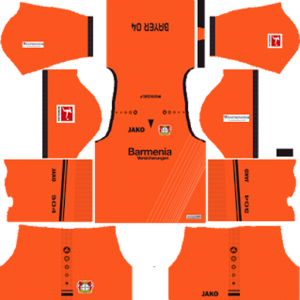 To download Bayer Leverkusen kits and logo for your Dream League Soccer team, just copy the URL above the image, go to My Club > Customise Team > Edit Kit > Download and paste the URL here. If you have any request, feel free to leave them in the comment section.